The militias in southeastern Ukraine say they’ve taken control over the strategic Donetsk airport, following an exhausting standoff with government forces. The airport has been a scene of violent fighting since last May. 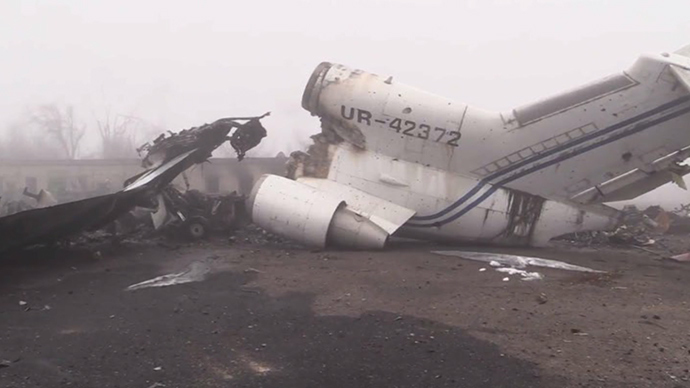 “The airport is under our full control now,” Valentin Motuzenko, an advisor to the head of the People’s Republic of Donetsk, told Rossiya TV channel. The current spike of violence at the airport was provoked by “rouge” units within the ranks of Kiev troops, which “don’t obey the Defense Ministry of Ukraine, the country’s president, or anybody else,” he stressed. According to the adviser, Ukrainian forces again opened fire on the militias at the airport without any warning on Wednesday. “One of our units was shelled by heavy mortars, with its ammunition load being hit. There was a massive explosion. Our people, our warriors have died and we just had no moral right to turn a blind eye to what has happened,” he said. Motuzenko stressed that before coming up with any counter-measures, the militias provided a green corridor for the Kiev troops to retreat. “The majority of them [Ukrainian soldiers] denied the offer, but some used the corridor and left. Those, who stayed were eliminated,” he said. No more than half a dozen Kiev troops remain in hiding at the airport at the moment. Militias are searching for them, the advisor said. The People’s Republic of Donetsk now plans “to invite the international observers so that they could see the violations and atrocities committed at the airport by the Ukrainian state and its military,” he concluded. Ukrainian security forces did not confirm Motuzenko’s words, saying that Kiev still remains in control of the airport’s new terminal. “Judging by the rhetoric and the questions that I’m being asked today, I get the feeling that some journalists are openly waiting for us to announce that we’ve given up the Donetsk airport. We have no plans to give up the Donetsk airport,” Roman Turovets, who heads the press center of Kiev’s military operation, told 112 Ukraine TV channel. 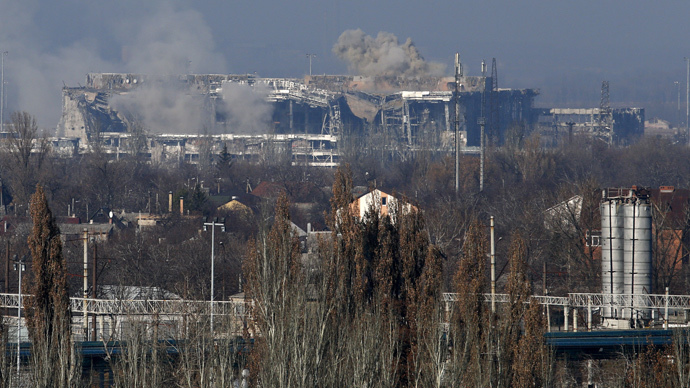 The Donetsk airport became the venue for several large-scale battles between May and late September, in which over 70 people died. As a result, the international airport that used to handle some five million passengers annually is now lying in ruins. The death toll in the Ukraine conflict has exceeded 4,700 people. Over 10,000 have been injured, according to UN estimations.